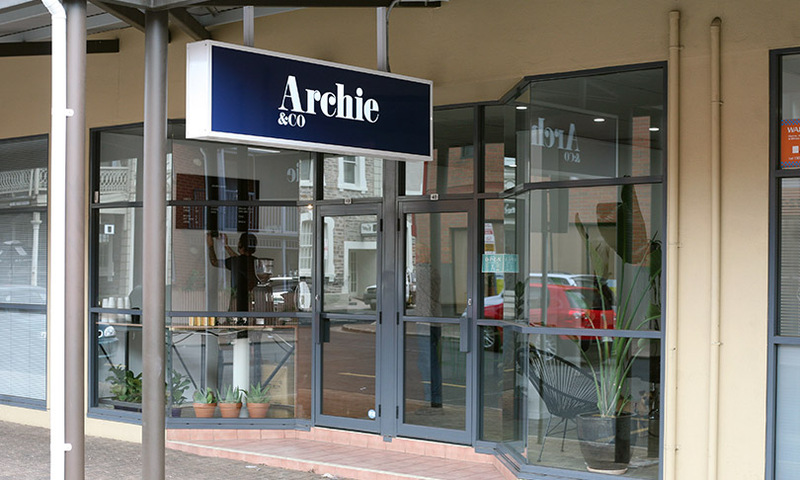 Coming together piece-by-piece, new hair salon, café and homewares store Archie & Co is bringing some sorely needed amenity to the residential strip along west Carrington Street. Founding member of Ebenezer Place’s DAS Hair and SAD Café, Adam Hadley-Darrie, has something new. 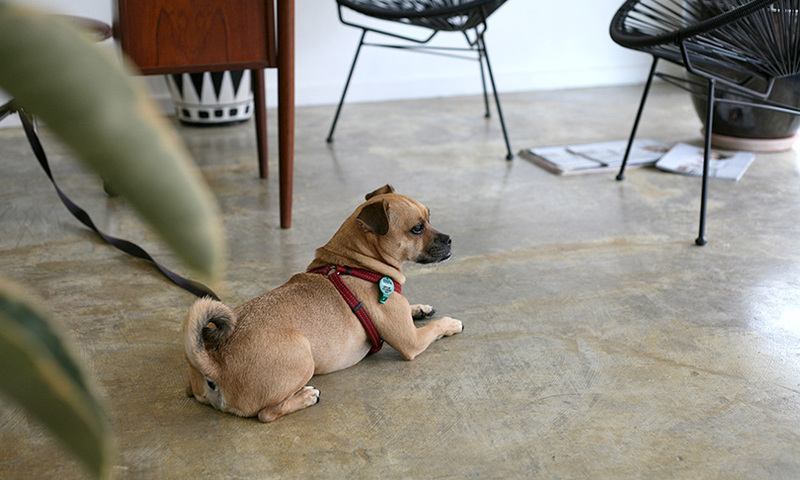 He and partner Paul Engelhardt have gone out on their own with the multi-faceted Archie & Co.
You can visit Paul, Adam and Archie at 48/81 Carrington Street, Adelaide. The salon is operating already and is open on Tuesdays, Wednesdays, Thursdays and Saturdays 10am – 5.30pm and on Fridays 10am – 9pm. 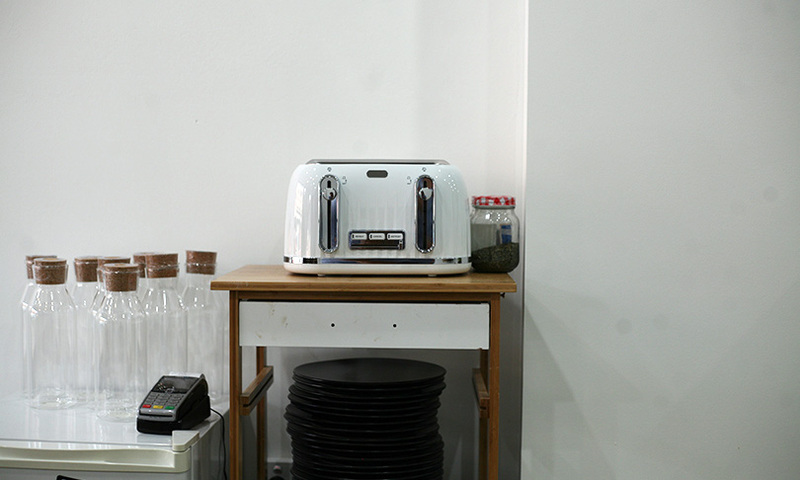 The café will start full trade as of January 27, and will be open Tuesday through Saturday 7am – 5.30pm, except for Fridays when it will also be open until 9pm. 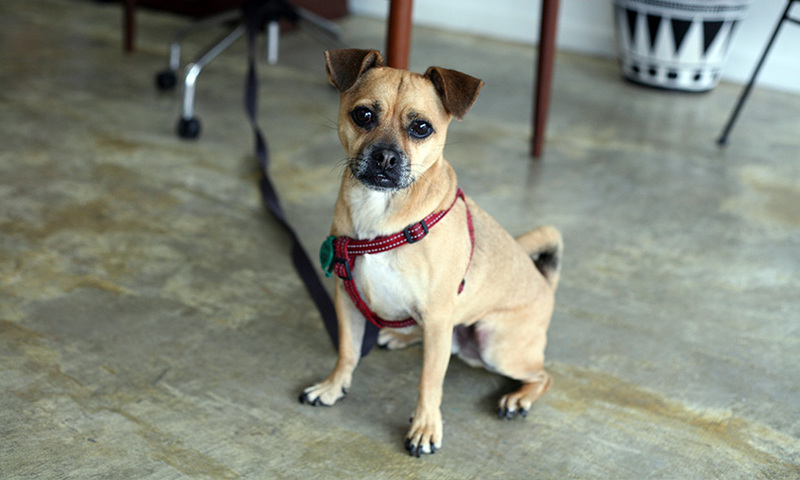 The business is named after their almost six-year-old Jack Russell and Pug cross, who oversees the salon side of the premises from his spot near the front of the shop. 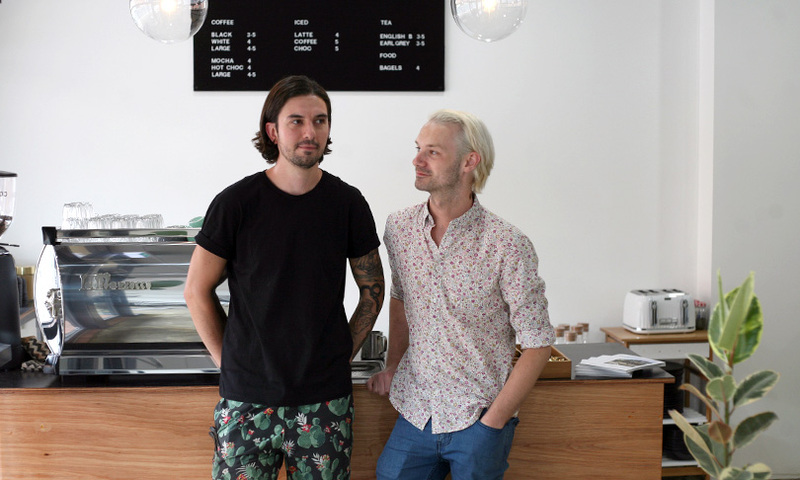 For both Adam and Paul – who is a graphic designer by trade – Archie & Co has been a long-held ambition. “We’d sort of toyed around previously for years, talking about doing something together and it just seemed like the timing was right,” says Paul. Adam and Paul decided to create a business that incorporated all the things they are most passionate about. 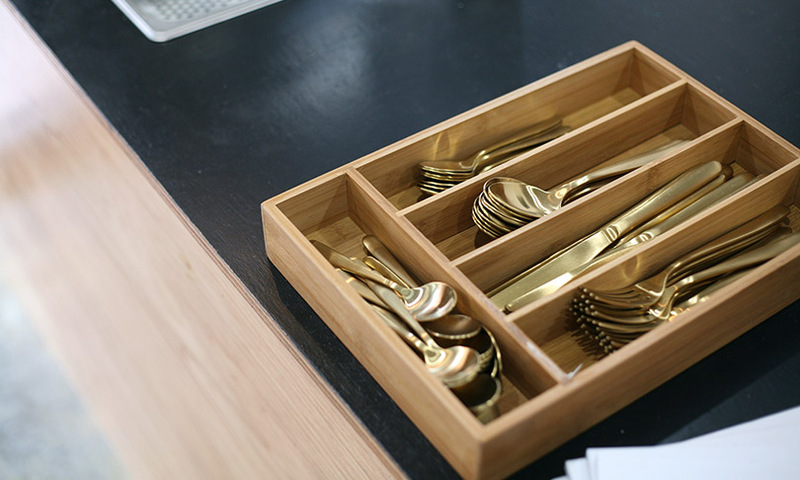 This explains Archie & Co’s unexpected mix of offerings, which are coming together piece by piece – the salon has been fully operational since December, the coffee side will be trading from next Wednesday (Jan 27) and the homewares and furniture will be brought in slowly over the next few months. Located just around the corner from the pair’s home, in a quiet part of town near the intersection of Carrington and King William Streets, the business will function as both a drawcard for those from further afield and a helpful convenience for locals. 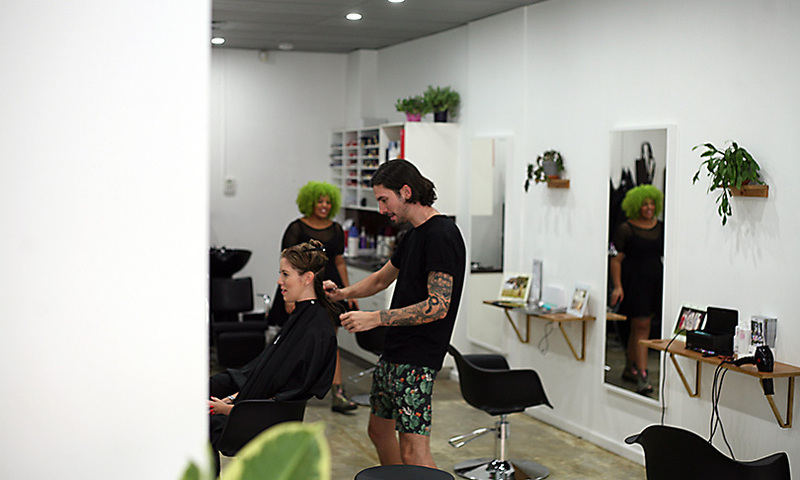 “We’re lucky with the salon that it’s a destination, so it doesn’t really matter where it is and then by adding this side with coffee it’s a complementary business that helps that one but also helps us establish a bit of a vibe with the area,” says Paul. 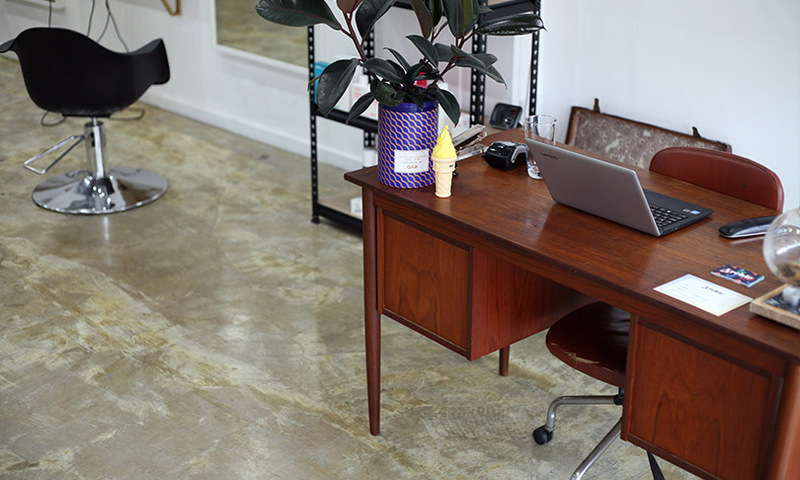 The fit-out of the shop, which was formerly the not-so-nicely-designed Signarama, was done almost entirely by Adam and Paul – who spent many a back-breaking weekend tearing up carpet and polishing concrete. Fitted out with a palette of concrete, glass and timber with touches of gold and greenery – the natural atmosphere is accented by Paul’s logo design.